The northernmost of the three peninsulas jutting into the Aegean Sea from Chalkidi is a narrow rocky strip approximately 50 km long and 10 km wide, rising to 2,033 m. In ancient Greek mythology the peninsula was said to be the stone thrown at Poseidon by the giant Athos. 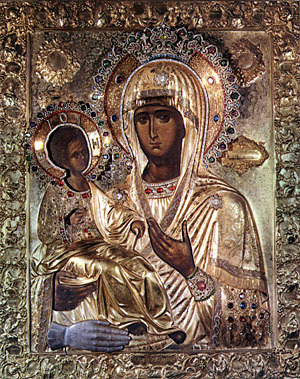 For Christians it was the Garden of the Virgin, the priceless gift that Christ gave his mother. 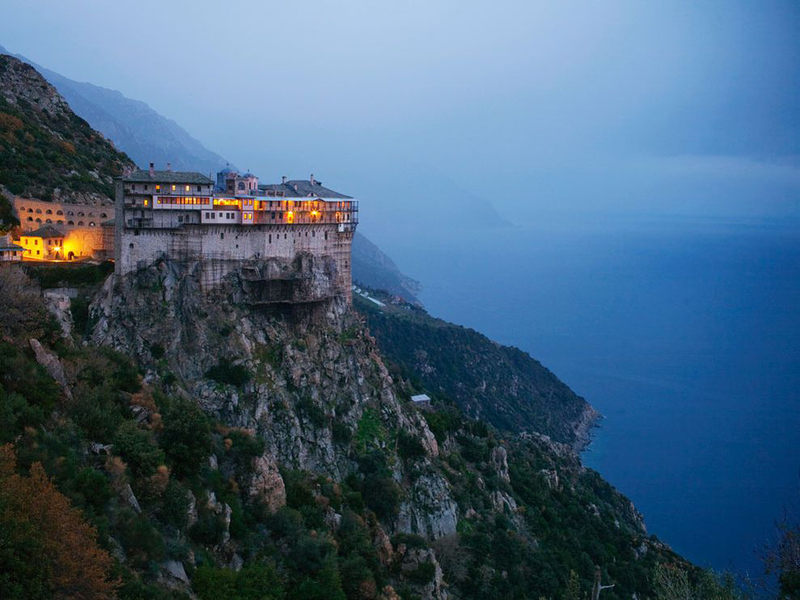 The precise date of the first Christian establishments on Mount Athos is unknown. 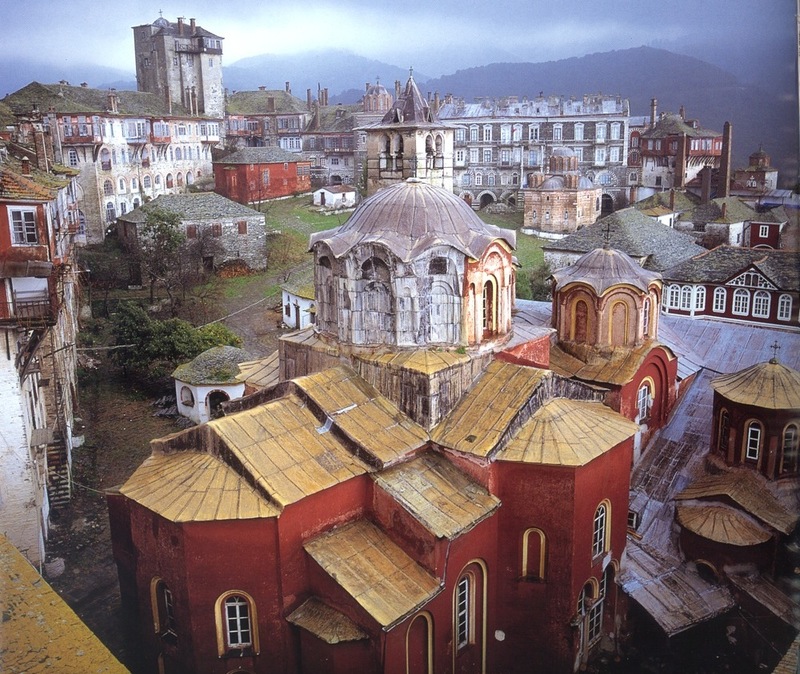 However, the monastic movement began to intensify in 963, when the future St Athanasius the Athonite, having left the Theme of Rithynia, founded Great Lavra on the tip of the peninsula. 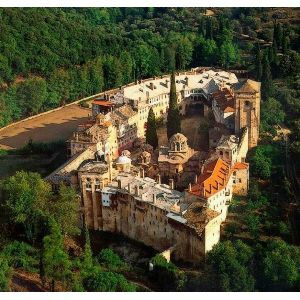 In 972 the first Typikon (agreement) was concluded at Karyes between the Emperor John I Tzimiskes and the monks of Mount Athos. 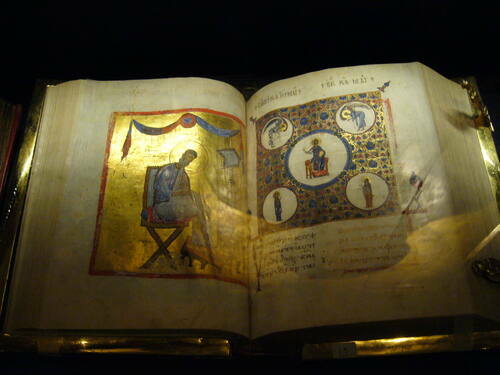 It provided the basis of the exceptional status still enjoyed by the 'Holy Mount' today.